Deeply moisturizes, giving elasticity to the skin. 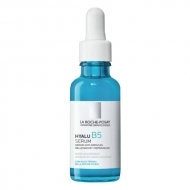 DESCRIPTION: Hyalu B5 Anti-Wrinkle Care from La Roche Posay is an ideal care to use with the Hyalu B5 serum to enhance healing and filling action. A unique hydration, a repair formula with two pure hyaluronic acids and vitamin B5. Fills and repairs the skin barrier. Apply in the morning and evening on face, neck and neckline.